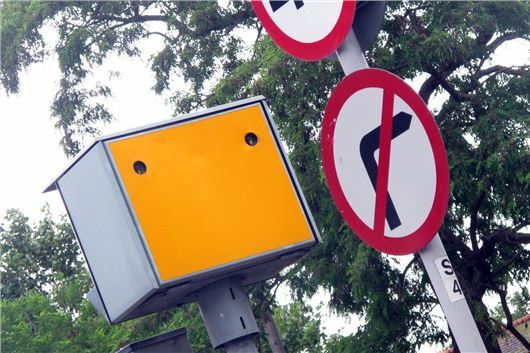 A Government report has revealed that there is insufficient evidence that 20mph speed limits reduce accident rates in urban areas. While the report concludes that more collisions happen in areas with higher speed limits, it says that it found "no significant change" in the number of crashes on 20mph roads compared to when they had a 30mph limit. Almost half (47 per cent) of drivers regularly break the 20mph limit, according to the study, rising to 94 per cent on roads where motorists typically drove faster than 24mph before the new limit was introduced. The number of 20mph speed limits on UK roads has seen substantial growth in recent years, since the DfT started encouraging local councils to introduce them in 2013. AA president Edmund King said changes need to be made to 20mph speed limits in the UK. “We need more variable speed limits linked to time of day," said King. "For example, in the USA most drivers slow down outside schools with flashing yellow lights but not at 3am when there are no children around. Yes. This is just so obvious. Unfortunately Local Authorities (eg Gateshead, with the Whickham scheme) could not see this. Hopefully this report will help them to see what everybody else knows and understands, and that more intelligent, effective, approaches to reducing accidents will be now applied. Shame about the £gazillions wasted in the meantime though, not to mention the frustration to (normally) decent and law-abiding road users. Variable speed limits require drivers to pay more attention to the road. Most drivers I come across have enough trouble reading the road as it is. In our area of Stockport 20mph speed limits have been set up on some roads and given cycle lanes. What amazes me about cyclists, most motorists drive considerately and give bicycles a wide birth. Unlike some cyclists I have seen this week riding through red lights, riding in the dark with no lights and not wearing any protective clothing eg, helmets and they are always bleating on about motorists, perhaps if they thought their lives were worth saving, they would abide by the law and spend a couple of bob on lights and helmets and maybe get some insurance.